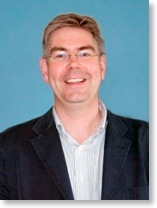 John Stevens is speaker at Derby Bible Week 2011. He has recently been appointed as the first-ever director of the Fellowship of Independent Evangelical Churches (FIEC). Educated at Cambridge University, where he became a Christian in his final year, John was a law lecturer for 16 years until 2007, combining this role with his responsibilities as one of the three pastors of City Evangelical Church, Birmingham, which he helped to found in 1999. The church now has a regular congregation of 300. John is married to Ursula and they have four young children. Alongside his other ministries, John was co-chairman of the national "A Passion for Life" steering group, is a member of the Midlands Gospel Partnership steering committee and until recently ran the Midlands Ministry Training Course. Click the picture below to begin downloading this year's flyer. Tuesday 3rd May - Thursday 5th May 2011 at Woodlands Evangelical Church from 7.30 p.m. each evening.